Our best selling Pneumatic wheels are now available as a complete pneumatic caster, ideal for outdoor pitches, sports clubs, and on cricket screens and goal posts. 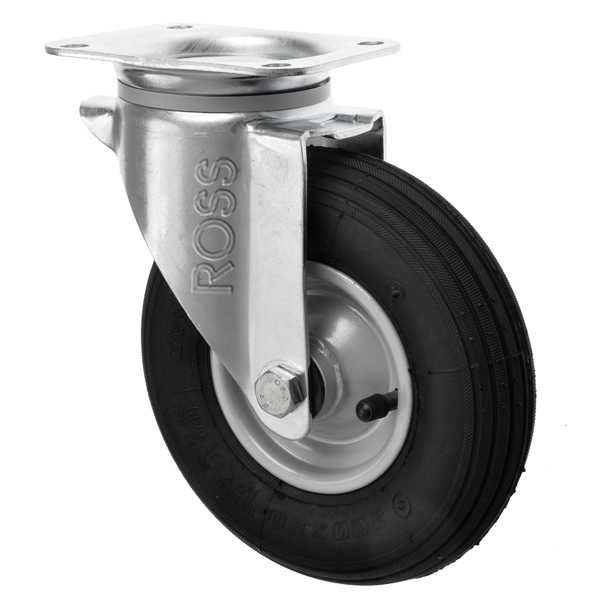 Pneumatic casters are available in two sizes either as swivel castors or fixed castors. We do not recommend a brake is applied to air filled pneumatic wheels.